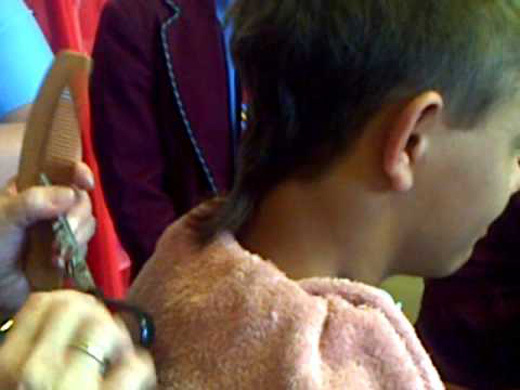 Mangaluru: July 31, 2015: The staff of a private school in Kulai on the outskirts of the city has been accused of forcing a class 5 student to get a hair cut. According to Rajalakshmi, the in-charge Block Education Officer (Mangaluru North), a staff member of the school has been accused of forcefully taking Mohammed Nauful to a nearby barber shop for a haircut on Monday. Ms. Rajalakshmi said she spoke to the child and his parents, Latif and Farzhana, on Tuesday. “The child told me that he was forcefully taken for a hair cut. His hair has been shortened and not shaved,” she said. The parents said that the boy was reportedly traumatised after the incident. Ms. Rajalakshmi said that the alleged incident has been treated as a physical torture of the child, which was in violation of the provisions of the Right to Education Act. A notice has been issued to the headmistress seeking an explanation within the next three days, she said. Denying the allegations, Nisha Lakshman, correspondent of the school, said that the child was not forced to get a hair cut. She added that the child and parents had been told about his long hair that needed to be cut. As the child failed to cut the hair, she asked her office boy to take the child for a hair cut. “I have got it done for several children. There has been no objection from parents.” Ms. Lakshman said this was done for the child’s benefit. The Karnataka State Commission for Protection of Child Rights has taken note of the incident and has sought a report.